The Linda is a versatile shoe with elegant detailing that delivers maximum comfort and protection. The classic monk-strap design with hook-and-loop strap allows for easy entry and accommodates different insteps. Full-grain leather upper and soft fabric linings wick moisture away from the foot and create a healthy foot environment. Petals footwear is recommended for women who have bunions, arthritis, diabetic feet or who need adjustability, stability, high/wide toe box, removable insoles, X-wide widths. They’re great for perfect feet. Awesome for feet that hurt. 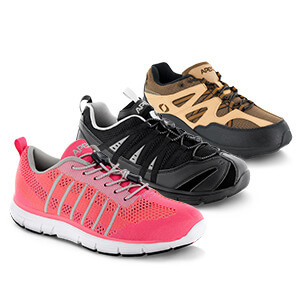 Built to the highest standards that support and protect diabetic feet. Only customers logged into an account with a verified purchase are able to post reviews.